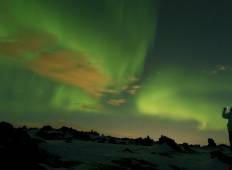 From late August to mid-April, travellers from all over the world search for the Northern Lights. 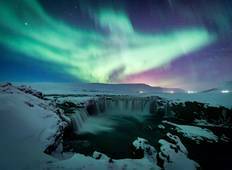 Over the last few years, Iceland has become the most popular choice to see the Aurora Borealis and we can understand why. However, if you'd like to avoid the crowds, Alaska is a great option. If you'd like to stay within the European continent, Norway (Tromso) or Finland are your best bets. "Eric was our guide and he was terrific! He was very knowledgeable and experienced...."
"This tour was beyond my expectations! Our guide Oliver made sure that we had every..."
"The trip was amazing , Biggie our guide went out of his way to let us see some extra..."
"We loved the country so much we are planning on coming back. Peaceful, beautiful..."